NYC is Blue: "Join the Movement"
This has been heating up Twitter feeds and Facebook pages this morning - MCFC has launched a major promotional push for our new club. Very clever. Minor quibble - no Queens, and "Harlem" gets a shout-out while Chelsea is stuck with "Manhattan" - but it's a great start. 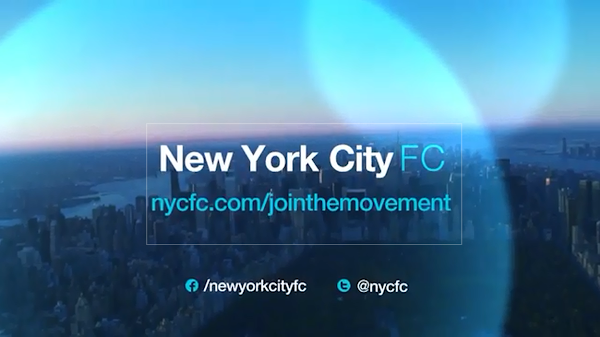 To support this effort, the club has also launched a new contest: each week a winner will be randomly selected to receive two tickets to the first NYCFC home game. Of those weekly winners, one will also receive the Grand Prize: round-trip air flights and hotel for two, and the signed ball from the video. Ticket winners will be selected every Friday at 5:00 PM EST on November 22, 29, December 6, 13, 20, 27, and January 3, 2014. The Grand Prize winner will be announced on January 3, 2014. We'll just have to wait to see what they have planned. But it's great to see City starting to stake its claim.